The expression “4 Cs of Credit” is what a financial lender will use to determine the credit worthiness of a potential borrower such as your business. 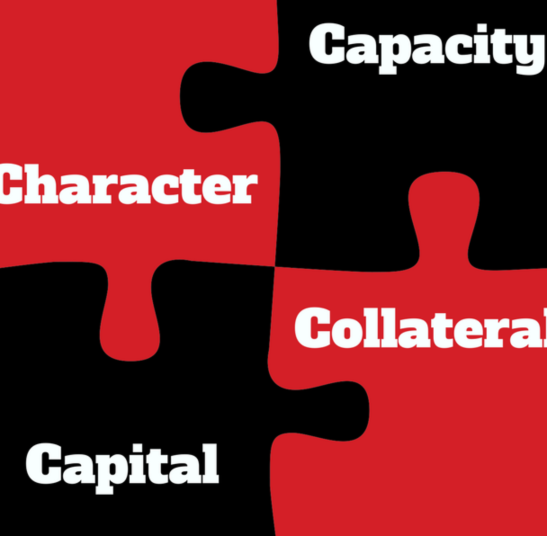 The 4Cs correspond to: Character, Capacity, Capital and Conditions. Whether your business is a new start-up or with many years of experience, the financial lender will apply these basics of business credit to determine whether to approve or reject a loan application. Of the 4 Cs of Credit, Character refers to the financial history of a borrower and track record for repaying debts. For a business with several years of operations, Character factors will include: size, location, years in business, business structure, number of employees, history of owners, liens, pending law suits and comments from commercial references. This is primarily determined by the lender reviewing the business credit reports of the borrower. However, if your business is a start-up or has limited time in operations, there is little financial history for the lender to review. In this case the business owner’s reputation and personal credit history will be the Character factors evaluated. The lender will use the borrower’s credit reports from the three major credit bureaus to determine how much has been borrowed in the past and whether the loans have been consistently paid off on time. Since these reports also identify information on collection accounts, judgements, liens and bankruptcies, they provide a historical profile of the creditworthiness of the borrower. This helps the financial lender determine what kind of “financial citizen” the borrower is, and the likelihood of receiving repayment on the loan, if approved. Capacity refers to the ability of a business to pay its bills. Of the 4 Cs of Credit, Capacity is often the most important factor to a financial lender since it measures the ability of the business to repay an approved loan. It measures the business income against recurring debts and the borrower’s debt service coverage ratio (DSCR). For a young business, since there is limited financial history, a financial lender will consider such a loan application with a high level of risk. Capital refers to the capital assets of a business. Capital assets include physical items such as equipment, machinery, product inventory, real-estate, locale fixtures, etc. and working capital, cash. With the exception of cash (which is the best asset), a financial lender will “discount” the value of the other capital assets since they will be depreciated in value and need to be sold at liquidation prices in the event of failure to repay any approved loan. Condition considers the external factors related to the business and the loan request itself. For the 4 Cs of Credit, the external business factors would the business industry market growth rate, its competition, political and legislation that would affect the business and currency rates. For the lender, the conditions of the loan, amount, interest rate, and intended use of the funds will influence the decision to finance the business. A financial lender will use the 4 Cs of Credit to determine the credit worthiness of the borrower as part of the process of evaluating your business loan application. While each 4 Cs of Credit has importance in the lenders decision-making, Capacity is most important since it measures the business (borrowers) ability to pay its bills and repay a loan approval.